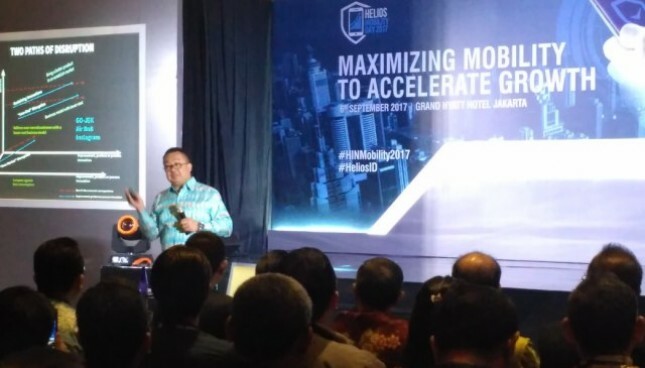 INDUSTRY.co.id - Jakarta - Helios Informatika, IT infrastructure solutions provider and subsidiary of CTI Group today, held a seminar and exhibition in IT field called Helios Mobility Day at Hotel Grand Hyatt Jakarta. Helios Informatics Nusantara Deddy Sudja, President Director of Helios Informatics Nusantara, said that Helios Mobility not only features a wide range of enterprise-level mobility solutions but also the latest mobile applications of creativity by independent software developers that can be used by various industries. "Through this Helios Mobility Day event the business professionals present can learn from expert speakers how to determine the right Mobility strategy, effective and easy and safe to use for all users," he said. According to IDC's research of 1,350 organizations worldwide, the main driver of mobility strategy adoption in the company is the desire to improve the customer experience, followed by the desire to increase employee productivity. He added that Helios Mobility Day features a range of mobile applications for various industry sectors, including order management and inventory applications for the food & beverage and retail industries. Distribution management system application is for fast moving consumer goods and pharmaceutical industries, survey and collection applications for financial services industry and others. The event also featured Founders home change Prof Rhenald Kasali, Regional VP of Enterprise & Channels Southeast Asia and Ocenia Samsung Electronics Joe Chan and Head of Sales For ASEAN, India & Greater China Mobile Iron Chaw Kiang.